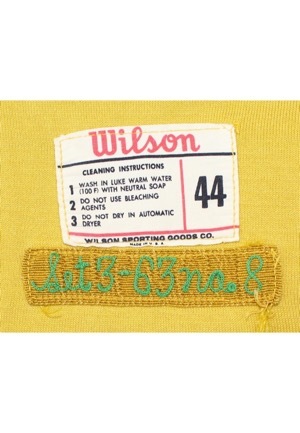 On the front left tail is the Wilson manufacturer’s tag size “44” with washing instructions. Adjacent below is a gold strip tag reading “Set 3 - 63 no. 8” embroidered in green chain stitching. On the left chest is the “A” team logo. 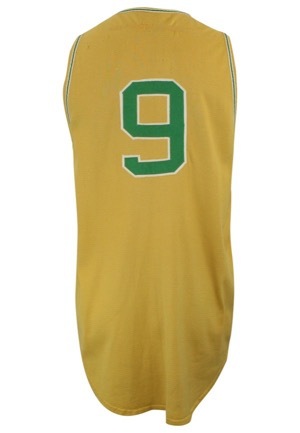 On the right chest and on the back is the player number “9”. 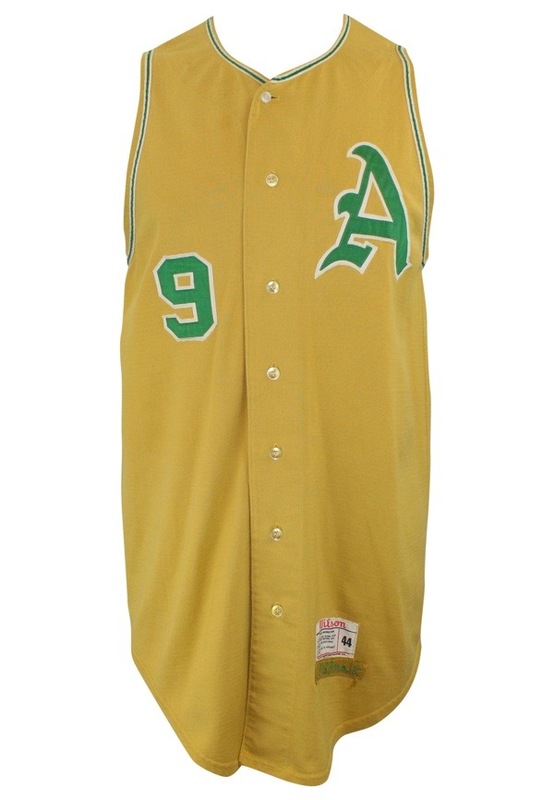 All numbering and lettering is done in the same green on white tackle twill. There has been a number change from Sullivan’s “8” and the nameplate on the back has been removed for extended organizational use. There are also repairs on the back collar. 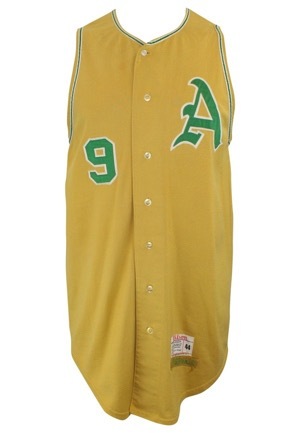 This jersey is properly tagged, was presented to us as game-used and shows outstanding use.